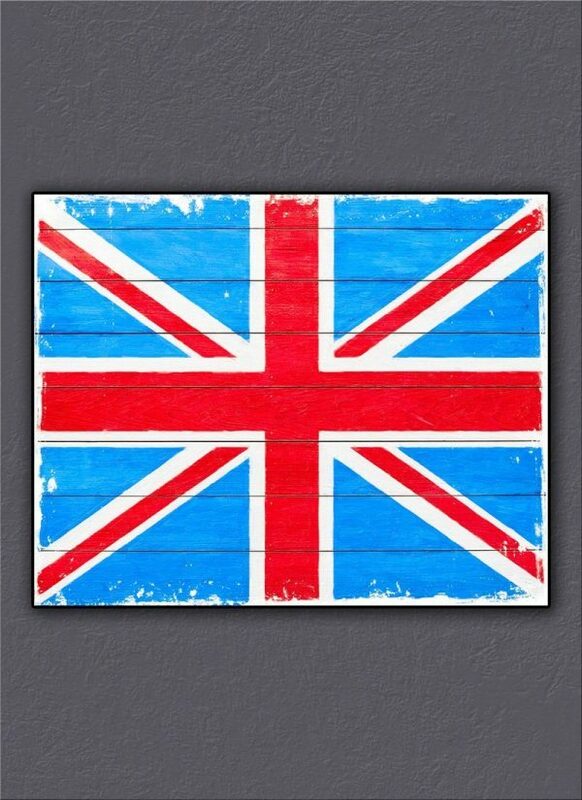 There’s something truly classic about the Union Jack or Union Flag of Great Britain. The current design dates back to the Act of Union of 1801 when the Irish parliament was dissolved and Ireland was officially added to the United Kingdom. But the history of the Union Jack goes even further back to 1606 when the flags of Scotland and England were first combined under James I (James VI of Scotland). Most of Ireland has since left that Union (1922) and Scotland and Wales now have their own parliaments, but the Union Jack has remained the same for over 200 years. Originally the Union Jack was more of a heraldic flag representing the armed forces of the royal family. No act of Parliament has ever made it the official national flag but it is certainly the de facto flag that most of us would identify as representing Great Britain. That long history was something I wanted to acknowledge in this Union Jack artwork. I wanted this flag print to have a classic vintage style that suggested it had been around for years. Perhaps this flag was painted on the clapboards of an old building and weathered by the sea somewhere? Perhaps it was once on an old barracks? Whatever story you may think accompanies it, this old Union Jack has a distinctive character all its own. Don’t you love that distressed rustic charm? 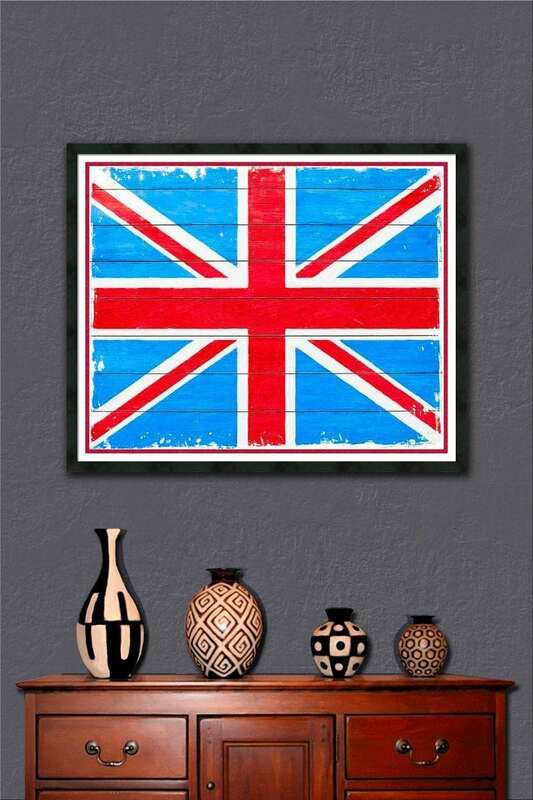 What exactly attracted you to this rustic Union Jack? 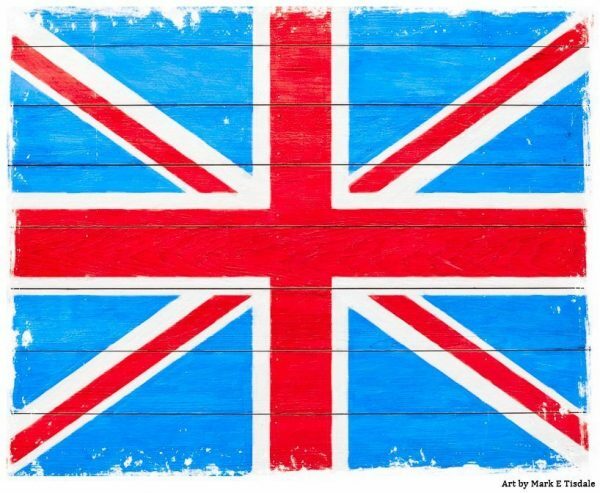 Does this classic flag fit in with your British themed decor? Or maybe it reminds you of a cool vacation you once took? Maybe this vintage style flag reminds you of home? Whatever the reason, I hope you will take a second to stop and share how you connected with this particular piece of British themed art! SKU: 3649 Print Collections: Graphic Art and Design Prints UK Art Prints Print Subject: "vintage style art"